Shuswap Land Services | Shuswap Land Services offers a wide variety of professional real estate services. 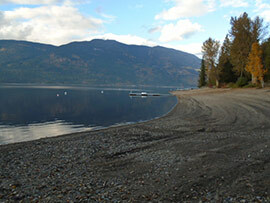 Shuswap Land Services offers a wide variety of professional real estate services. RIGHT-OF-WAY SERVICES: A Member (past SR/WA) of the International Right-Of-Way Association. Skilled in negotiation, acquisition, land administration, valuation.